What mobile / Which Mobile? If Samsung Galaxy Note FE specs are not as per your requirements? Find your desired mobile by selecting right features, price, specs using our advance mobile search facility. Feedback In case of any mistake in Samsung Galaxy Note FE prices, photos, specs, please help us using our contact us page. Disclaimer: Samsung Galaxy Note FE price in Pakistan is updated daily from price list provided by local shops but we cannot guarantee that the above information / price of Samsung Galaxy Note FE is 100% accurate (Human error is possible). For accurate rate of Samsung Galaxy Note FE in Pakistan visit your local shop. Is Note FE available in Lahore????? If yes, then, tell me the location of that shop. Is samsung note 7 fan editin is avail.able in pakistan? If yes...then plzz cnfm fm where can be purchased..
Nd i want to buy this cell fhone in without warranty edition ..which comes from abroad..but pin pack..
- Samsung Galaxy Note FE best price in Pakistan is Rs. 77500 Pakistani Rupees (PKR). - One can buy Samsung Galaxy Note FE pin pack from the best online stores or local shops, whichever offering cheapest price. - Always confirm mobile specs, features, warranty, shipping cost and delivery time from the seller before you pay for Samsung Galaxy Note FE. 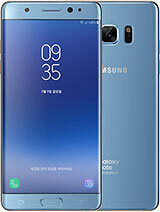 - Some online stores sell used and refurbished models as well, so check Galaxy Note FE details from the seller before ordering. Important qualities of Samsung Galaxy Note FE include nano SIM, 167 g weight, 153.5 x 73.9 x 7.9 mm dimensions, 5.7" Super AMOLED capacitive touchscreen display, Android nougat OS, Exynos 8890 octa chipset, octa core CPU, Mali-T880 MP12 GPU, 64 GB internal memory expandable up to 256 GB, 4 GB RAM, 12 MP primary camera with phase detection autofocus & LED flash, 5 MP secondary camera, WLAN, GPS, NFC, USB, Bluetooth and non removable Li-Ion 3200 mAh battery.